When Wicked Comes Calling . . . When a mysterious stranger finds his way into her bedchamber and offers his help in landing a duke, Lady Felicity Faircloth agrees—on one condition. She’s seen enough of the world to believe in passion, and won’t accept a marriage without it. The Wallflower Makes a Dangerous Bargain . . .
For the Promise of Passion . . . But there’s nothing plain about Felicity Faircloth, who quickly decides she’d rather have Devil than another. Soon, Devil’s carefully laid plans are in chaos and he must choose between everything he's ever wanted . . . and the only thing he's ever desired. 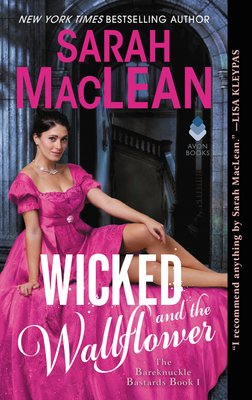 A life-long romance reader, Sarah MacLean wrote her first romance novel on a dare, and never looked back. She is the New York Times and USA Today bestselling author of historical romances and a columnist for The Washington Post, where she writes about the romance genre. She lives in New York City. Visit her at www.sarahmaclean.net.